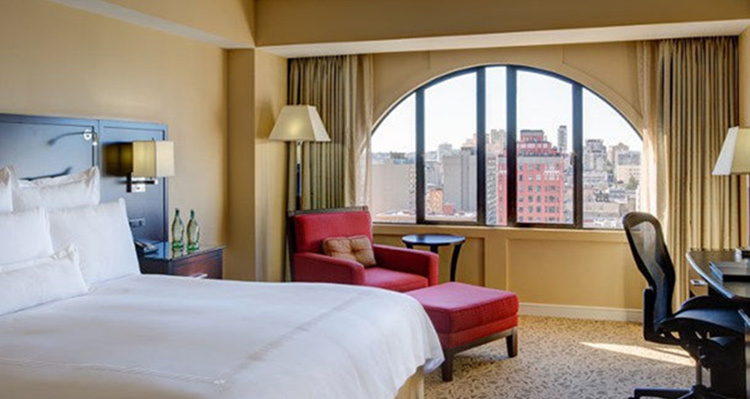 Distinguished among hotels in Union Square, the luxurious guest rooms at JW Marriott provide the comforts of home with the world-class amenities you expect. From lush pillow-top mattresses, ergonomic Herman Miller Aeron chairs and available 24-hour personal butler service, this San Francisco hotel exudes the sophistication and elegance of the City by the Bay. With a team of dedicated caterers, event planners and housekeepers, our San Francisco, CA, hotel is devoted to providing exceptional service from the moment of arrival to final goodbye. San Francisco Union Square boasts an extensive collection of boutique and luxury retail shops, art galleries, cafes, restaurants, theatres and night clubs, all surrounding a beautiful urban park. Also explore nearby San Francisco sites like the unique Chinatown, historic Alcatraz Island and Fisherman’s Wharf. Available 24-hour butler service and a world-class staff distinguishes the JW Marriott from other luxury hotels in San Francisco. Guests enjoy stylish high-tech suites, featuring Bose radios, 46-inch HDTVs, plug-in panels, Herman Miller Aeron chairs and Internet. Discover why the JW Marriott San Francisco Union Square is the best hotel in Union Square, San Francisco. With its unbeatable location, attentive and plentiful staff, and spacious rooms and lounge areas, this hotel is uniquely suited for hosting large events in style. Elegant décor and well-appointed rooms feature pillow-top mattresses, luxurious linens and down duvets. Large showers, separate baths, comfy robes and other modern amenities are waiting to pamper our guests. 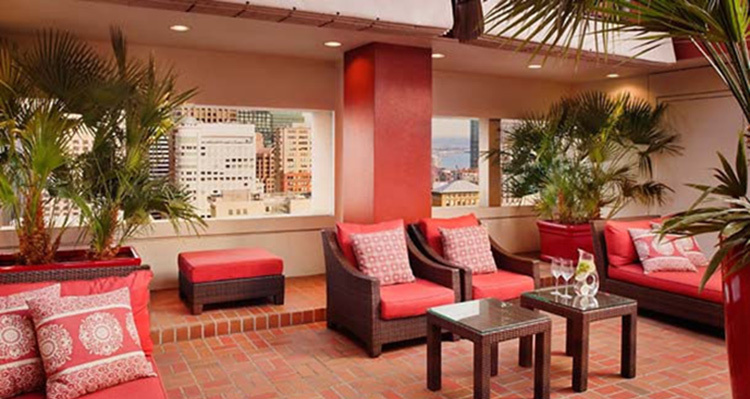 Take a break and relax outside on the patio with stunning views of San Francisco. The terrace is the perfect spot to sit back, indulge with a refreshing drink, catch up on email, have a quiet conversation or enjoy the ambiance. 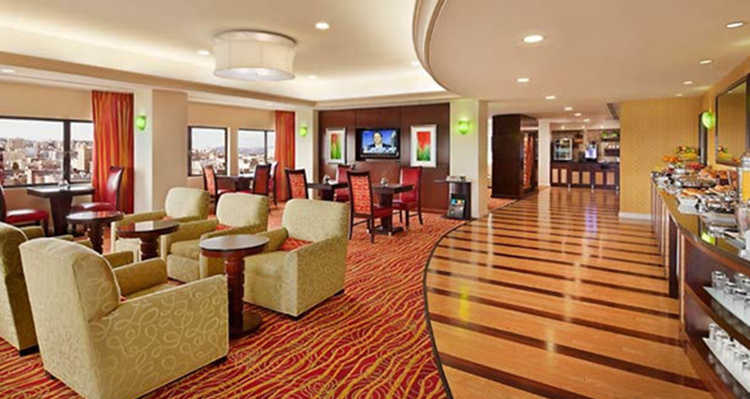 The Club Lounge offers a continental breakfast, afternoon and evening hors d'oeuvres and beverages, and great views of the Golden Gate Bridge. It's the perfect place to relax and enjoy light fare and good conversation. 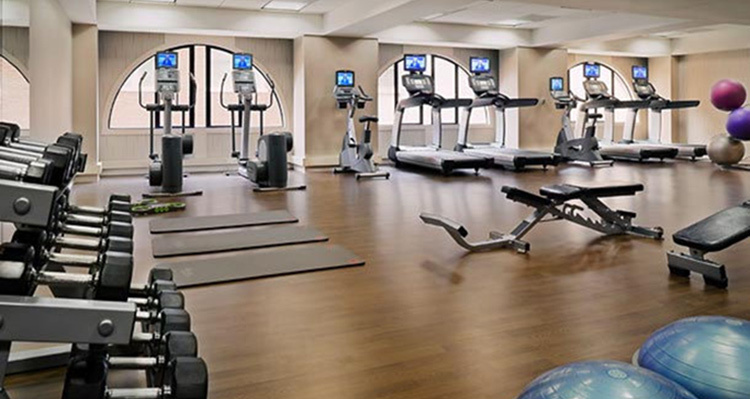 An on-site fitness center features state-of-the-art equipment and is fully-equipped with cardio equipment, free weights and core balls. 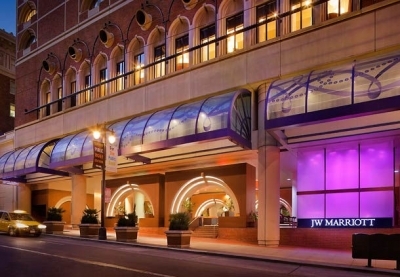 Visit the JW Marriott San Francisco Union Square Website.